The same Courts had also declared that any PDP candidate who emerged from the polls would not be a fit and proper person to assume position either as a Councillor or a Local Government Chairman. In one of the press releases issue and signed by two bigwigs of the PDP at the time, DR.Alex Obi and Chief B.Ejiogu, they held that “the implication of the two court injunctions is that the PDP has no legally recognized candidate in the elections. All these reasons made the postponement of the elections proper and imperative. The PDP stated this in very clear terms in letters to Governor Ohakim before the elections. To say the least, Governor Ohakim’s decision to go ahead with the elections in defiance of court orders and party directives remains an affront to both the PDP leadership and the judiciary. This must be addressed by the party machinery and the Courts whose orders have been flagrantly violated. So, the lesson of this press release is that what Governor Okorocha plans to do tomorrow(25/8/2018) in the LGC Poll is a replication of what his predecessor did on the 7th August, 2010 Local Government Polls in Imo State. This is an affirmation of the point I have often made on this platform that for every vice, impunity, lawlessness and lack of due process attributed to Governor Okorocha, there must be its opposite number in the PDP government that Governor Okorocha succeeded. 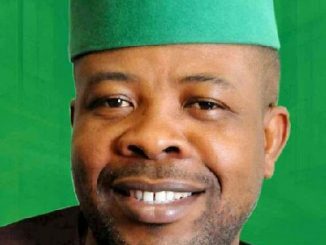 While Governor Okorocha used a controversial approach in producing the delegates and candidates for the election of August 25th, his predecessor used what was described as a TEMPLATE method . A School of Thought says that both methods usedby the two governors are not recognized by the Electoral Act. The common denominator between Governor Okorocha’s Administration and the PDP Government that he succeeded is that both administrations are allegedly deeply involved in lawlessness, impunity, lack of due process and untrammeled loquacity. Whether these allegations are true is a matter for personal conjecture. 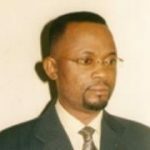 I therefore call on the electorate to be wary of who they vote for in 2019.In the same vein, it is my advice that the chairmen –in- council of the various political parties must exercise maturity in who they present as their candidates for the various offices in the forthcoming General Election in the future. 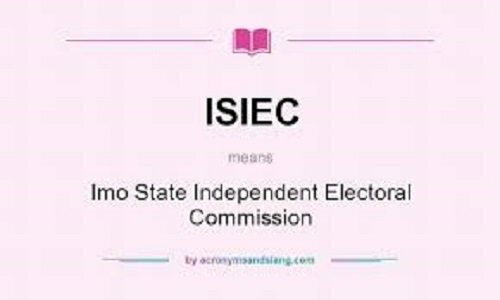 I am amazed that in the raging outbursts from the various media: print, new media and broadcast media in condemning the election of tomorrow(25/8/2018), nobody has tried to link it to the Local Government election that held in Imo State on August 7th, 2010. Is this oversight deliberate or are theses discussants and analysts suffering from a dangerous case of selective amnesia? For those who do not know the facts, the press release above signed by two top politicians of the PDP highlighted few of the lapses in the Local Government poll of 7th August, 2010.In that 2010 LG Poll which was conducted, in spite of two subsisting court injunctions by HON Justice Goddy Anunihu of Owerri High Court, the (s)election held on Saturday 7th August 2010 while the result was released very early on the next day, Sunday 8TH August while the purported winners were inaugurated before 8.am on Monday 10th August, 2010.This was done so early in order to escape any likely court injunction on releasing the result of the Kangaroo poll. Contrary to the provisions of Section 76 of the Electoral Act 2006, the purported winners were sworn into office without being individually issued with a Certificate of Return. The summary of this analysis is that all those who have ruled Imo State since 1999 have tried their best but we need brand new elected leaders who will get in there and investigate how Imo State was run since 1999. Well , let me reiterate and re-emphasize that in spite of my reservations and misgivings about the legality of tomorrow’s poll (25th August 2018) in Imo State, I make haste to remind our people of Imo State that the foundation for this impunity started when the PDP administration on Saturday 7th August, 2010 arbitrarily conducted a Kangaroo poll in spite of two subsisting court injunctions against the poll. So, there is a need for the electorate to have this in mind as they vote in future polls. In the same vein, the political parties must also ensure they present candidates who do not already carry excess luggage, if they intend to produce effective leaders in 2019. The bottom line in this analysis is that Imo State is back to where we were in 2010 and this is very unfortunate. 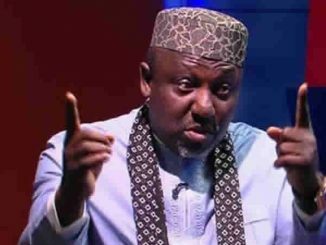 While other States have engaged in a speed gear in order to catch up with the future, our own politicians engaged in reverse gear in order to catch up with the Hobbessian state of nature where “life is short, nasty and brutish.” So, what Governor Okorocha plans to do in the Local Government poll of 25th March is the same procedure which his predecessor used in 2010. All things being equal, the names of the purported winners of the poll will be released early tomorrow morning(26/8/2018) and they may all be members of the All Peoples Congress(APC). On Monday morning (27/8/2018), they will all take the Oath of Office and Oath of Allegiance. This is the charade we had in 2010 when the so-called TEMPLATE system was used in producing the candidates for the August 7th ,2010 Local Government poll. So, the much orchestrated bad governance and impunity in Imo State predate Governor Okorocha and it will outlive his tenure if adequate steps are not taken to produce good leaders in 2019.This is why there is a dire need to have brand new governors in 2019 to enable them screen the State of the Imo PLC in the past years. It was the revered poet, Santayana, who once said :”Those who cannot remember the past are condemned to repeat it.”In the same vein, Karl Marx once said:”Every morbid society must have its own morbid grave diggers. In the same vein, the great philosopher, Heraclitus, once said :”Nobody steps into the same flowing river twice.” To be forewarned is to be forearmed. Perhaps, there is a need to remind the reader that as we read this report, the case filed by the group “Opposition Council Chairmen and Councilors of Political Parties that are not PDP is still pending at the Court of Appeal, Owerrri for determination. The group is seeking a relief of the pronouncement of Court that the PDP members who participated in the August 7th, 2010 LG poll did so illegally and therefore should be treated as meddlesome interlopers who were not recognized by the law as participants. They are demanding that the Court of Appeal should declare them the winners of the said poll. 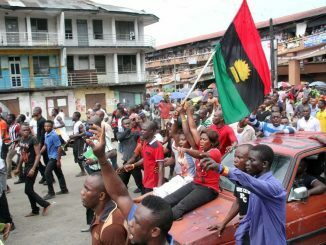 The case is stagnated in the Court of Appeal because the arrow head of that struggle, Chief Akamdiocha , who hailed from NGOR OKPALA suddenly died, hence the group scattered and became virtually moribund. That case is still in the Court of Appeal, Owerri now. This shows that the culture of impunity, lawlessness and abysmal disdain for the rule of law was existing in Imo State long before Owelle Okorocha became governor. If anything, Governor Okorocha is merely trying to supersede the level of impunity of his predecessors. So, the electorate must open thir eyes and decide who to vote for in 2019.It was the late Governor Samuel Onunaka Mbakwe who once said: ”Oke Anagh Eri Ihe Onye Mu Anya” which translates to “The rat does not eat what belongs to a man that is awake.”The price of liberty is eternal vigilance.